That’s how Teresa Wiseman described her father Darrell Wiseman, President of Danville Toyota. 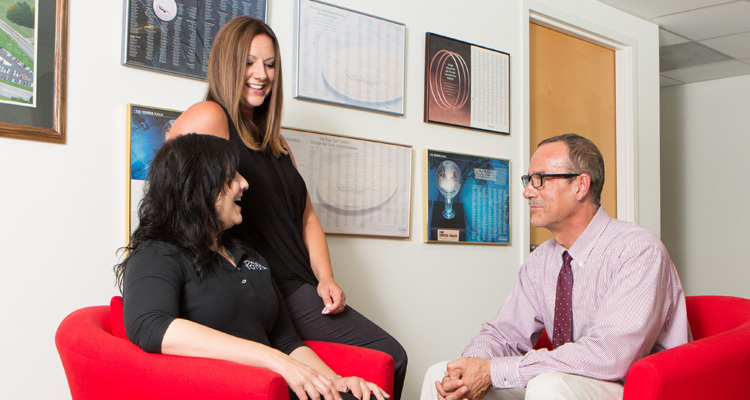 He operates the business alongside his three children, Ryan Wiseman, Tracie Scearce, and Teresa Wiseman. From the moment you meet him, it’s obvious he commands honor and respect. He’s tall, well-mannered, and he speaks with an authority that is hard to describe but instantly evident. When he speaks, you can’t help but listen. At 78 years old, Wiseman’s presence alone demands a level of respect. His words come through a deep Appalachian accent that represents his West Virginia upbringing with just enough rasp to hear the experience in his voice. The way he tells stories is captivating in the most southern way possible — full of detail and color. Each of his first three car sales tell a story on their own, but his second or third (he couldn’t remember which) stands out. “I’m standing there in the showroom, a little breeze coming through, when this guy taps me on the shoulder,” Darrell said. The guy asks Wiseman if he sold cars there, at the Ford dealership, so Wiseman tells him yes and takes him to a nearby booth to chat. He wanted to order a 1963 Ford Galaxie 500 427 Fastback with only one seat — the driver’s seat. So, Wiseman gets the paperwork together and takes it to his supervisor, but he doesn’t believe Wiseman has actually found a customer to buy this car. Wiseman gets the purchase order and a deposit, but his supervisor, still incredulous, calls the bank to make sure the check is good. The man wanting to buy the Fastback was Zach Reynolds, grandson of Winston-Salem tobacco legend R.J. Reynolds. Wiseman and Zach Reynolds would go on to be dear friends until Zach’s death in a plane crash in 1978. Wiseman’s office gives an extensive glimpse into the type of man he is. 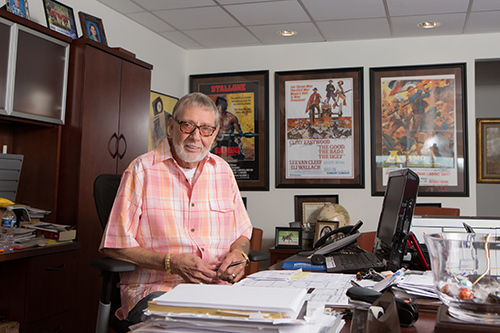 On his left-side wall are three posters — “Rambo,” “The Good, the Bad and the Ugly,” and “The Searchers,” each signed by one his heroes — Sylvester Stallone, Clint Eastwood, and John Wayne respectively. His desk is all business. Financial statements and countless awards he has won from Toyota over the years leave just enough space for his desk calendar full of to-do’s. One look at his right hand reveals a ring with a huge gemstone and the number “1” in the center. It was awarded to him by Toyota for having the top dealership in a five state region in 1986. He earned that award in Denbigh, Virginia near Newport News, but he said he learned much of what he knows about selling cars in Elizabeth City, North Carolina. This was in a time before the Internet and social media, but Wiseman used an old-fashioned, full-page newspaper ad to bring in customers from Norfolk, Virginia — across state lines. After six months of success, Wiseman’s boss realized he was paying Wiseman more money than he could afford, so he had to let him go. Shortly after that departure, he would go on to manage the Denbigh dealership before eventually settling at Danville Toyota. When asked what pushed him from selling a one-seated Ford Fastback to Zach Reynolds to managing the number one dealership across five states, he said it was the challenge. As hard as he worked, and as much success as he has had, Wiseman has always made his family a priority. All three of Wiseman’s children work at the dealership with him now and have, at least on and off, since they were teenagers. His daughters worked in customer relations, and his son washed cars and worked in parts. Now, Teresa, his youngest daughter, is Vice President of the company and his other children are both in upper management. Family is the one thing that has stayed constant through Wiseman’s life. He and his wife Mary will be celebrating their 50th wedding anniversary in 2018. Through his entire career, Mary has been his rock. Wiseman is also invested in his community. 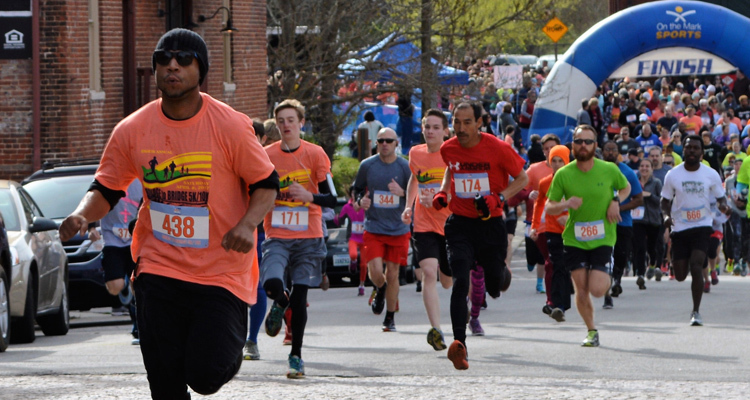 Danville Toyota is one of the largest supporters of local non-profit God’s Pit Crew, donating thousands of dollars each year to support their disaster relief efforts. Wiseman said the most important thing was dedication on his road to entrepreneurism. Darrell Wiseman is the American Dream personified. Growing up a coal miner’s son, serving in the military, and then paving his own path to starting his own business has created a method of success worth emulating. Wiseman wouldn’t say this himself, but his daughter Teresa said two things have brought him to where he is today. Vision and humility. In addition to the three posters in his office, Wiseman has an entire room in his house dedicated to his “heroes.” The room’s walls are covered in photos of men Wiseman admires. Mostly western stars like John Wayne and Butch Cassidy, but all men of courage and honor. Darrell Wiseman’s youngest daughter Teresa serves as Vice President alongside her father. She spent 10 years at Danville Toyota in customer relations and loved it. Teresa, along with her sister, Tracie, served as Customer Relations Managers. She said that prepared them for the roles they are in now. “It always helped us stay grounded with our customers and make sure all of our guests leave with an exceptional experience,” Teresa said. Teresa Wiseman took on the Vice President role in 2013 after receiving her MBA from Averett University alongside an induction into the Sigma Beta Delta honor society. Since assuming the position, she said her biggest challenge has been working on restructuring the processes of the business to provide a better experience for each customer. She said she has redone almost every process, start to finish, for nearly every employee of the business. 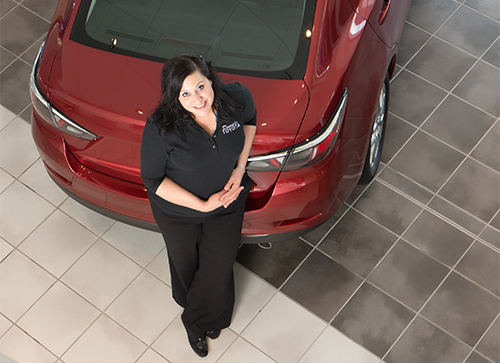 She’s taken cues from the greatest customer service experiences in the world — think Disney and the Ritz-Carlton — to bring Danville Toyota’s service to an entirely new level. As busy as she is, Teresa said when she does get that rare time off, there are a few things she expects to be doing. 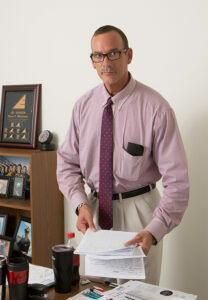 He manages employees day-to-day and oversees operations within the service and parts departments. He is also the liaison between Toyota and each of the individual service and parts center management team members. “It’s always something going on, it’s exciting,” Ryan said. Outside of cars, Ryan is a music lover to the core. He grew up listening to bands like KISS, Creed, and Van Halen, and his passion for music has yet to wane. Not only did he have to buy that guitar, he also purchased seven others to flesh out his signature guitar collection. He said the Tremonti signature Paul Reed Smith guitar is his favorite, but he also has a Gibson Les Paul autographed by Ace Frehley, the original lead guitarist of KISS. “I got that in the case — I wouldn’t ever play that,” Ryan said of the Frehley autographed guitar. In addition to his love of music, he also has a deep love for animals. This ranges from animals in the wild, to his house pets. Ryan’s pets include two African grey birds, a blue-and-gold macaw, and two English bulldogs. “I love all of my animals, they are really like my children,” Ryan said. “I have always felt like that is how they should be treated, so they’re spoiled”. Tracie Scearce began working with her father in the early 1990s, answering phones and working with customers. She worked for around 10 years before leaving to start her own family. Now that her children are a little older, Tracie has gotten back into the car business and assists her sister, Teresa, in overseeing day-to-day dealer operations. “I started going in to work with my dad on Saturdays when I was 12 years old, and I’ve just always worked in it and always loved it,” Tracie said. She said for her, working in the car business is really about working with people. She stays busy outside of the dealership as well. Her son Stephen, 14, is on a traveling basketball team, and her daughter Sarah, 10, has her own horse and competes in equestrian competitions. Just like her parents before her, family takes top priority for Tracie and her husband Gary. The entire Wiseman family is tightly knitted. Not only do they work together, they spend a lot of time together outside of work as well. She said they’re now, at most, 12 minutes apart. Family is the cornerstone of Danville Toyota, and they do their best to bring the community into their family as well. 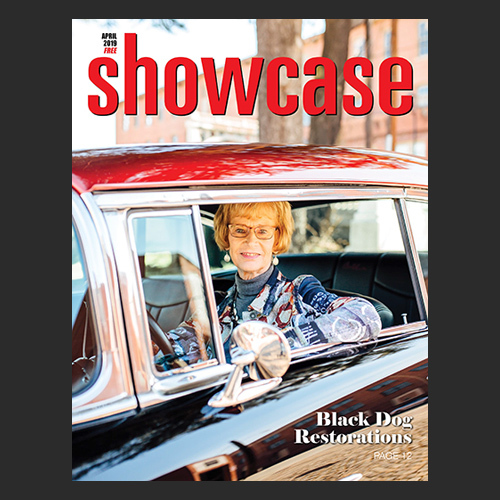 Whether that be through donations to local non-profits such as God’s Pit Crew or community events (see page 18) like their “Heels on Wheels,” they want every customer to feel like they’re a part of the family too. In March 2018, Danville Toyota will be hosting its “Heels-on-Wheels” event. The event is being held as a “women’s empowering event” and will be open to 100 women. Each woman is also allowed to bring one female guest. Sign-ups will be on a first-come, first-serve basis. You do not have to be a customer, or even a Toyota owner. The only requirement is to be female. “We will start with the introductions of our power team, with a small background on who we each are, where we came from, and share a struggle we faced,” Wiseman said. Women in attendance will be given car buying tips, useful websites, information concerning the various lights a vehicle has and what they mean, a video on how to change a tire with a takeaway sheet to keep in their car, a short self-defense demonstration and a motivational “be unstoppable” speech at the end. Each attendee will receive gifts, and there will be prizes as well.